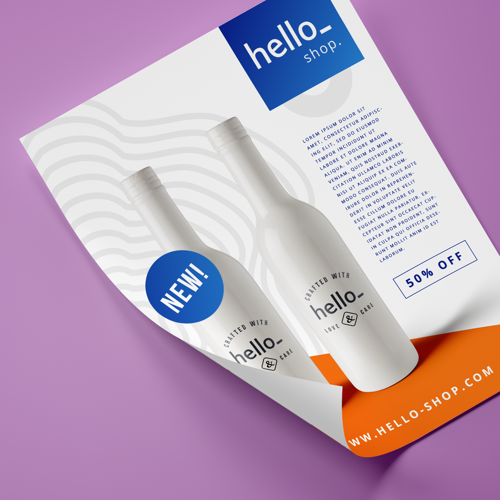 Make sure your brand is what's turning heads with Helloprint's affordable advertising flyers! Printed in full colour and designed for your campaign needs; produce useful printed flyers that are sure to inform and promote your business wherever it goes. Our top quality flyers are available in various useful sizes that are durable, easy to distribute, and perfect for gaining your brand some publicity. Looking for Folded flyers? Check out our range of folded leaflets. Will my flyers be folded? Should I choose single or double sided Flyers? Which paper can I use for my flyer? What is the best format for my flyer ? Do you have a specific size in mind for your flyer? We have more than 10 options, choose below. The finishing of your flyer is important for the appearance. We have a number of finishes to choose from! A flyer is a single or double sided printed sheet of paper used for advertising. Also known as a leaflet, this type of promotional printout can be ordered in multiple sizes, with A6, A5, A4, and DL being the most popular sizes in the UK. Flyers are often shared for free in public spaces, either in person, or via direct-mail marketing strategies; they’re cost-effective marketing materials because they can be ordered for a reasonable price and are quick to arrange online. No, the flyers will not be folded. If you are looking for folded flyers, take a look at our folded leafets. This very much depends on how much you want to communicate on your leaflets. Single sided business flyers will generally be the cheaper option. However, if you want to include additional relevant information to your flyers, double sided flyers gives you the extra space. This way you can ensure the format and design of your ad isn’t jam-packed, but also isn’t missing any crucial details. For instance, unique selling points could be emphasised on the first page, while a map for directions or contact info could make up the back. It’s possible to order flyers with 135gsm, 170gsm, 250gsm, or 400gsm paper. For those unaware, ‘gsm’ means grams per square meter, which refers to the weight of the paper and is indicative of its thickness. Still, which do you choose? 135gsm is the most common choice in the UK since it’s lightweight, easy to distribute, and less prone to crinkling when compared to regular printing paper, which is about 1.5x thinner. This option is a bargain for businesses with a small marketing budget because it can be arranged at a price that’s convenient for sharing with many people without breaking the bank. Flyers ordered with 170gsm paper are often the chosen for conferences and trade shows. Being about 2x thicker than regular printed paper, their sturdiness makes them an attractive option for professional gatherings. 250gsm leaflets are often ordered by companies within hospitality and retail markets. This paper type is 3x the size of a sheet of printed paper, so they’ll feel extremely sturdy in the hand. Last but not least, you’ve got 400gsm flyers. This is the most premium option, but can still be ordered at an affordable price range. At 4x the thickness of printing paper, this printed delight will guarantee a robust and luxurious flyer. How ever you choose to use them, anyone will recognise you’ve invested in this order, making it harder for them to throw away. Flyer printing is possible in multiple sizes and formats to meet the communication needs of all types of organizations and businesses. However, as advertisers and professionals with commercial graphic design experience will tell you communication agencies and marketing teams usually choose the same dimensions for flyers. In particular, the A5 format is generally the standard flyer size. Either way, it’s essential to think carefully which format will best let you display images and headline text that will appeal to your target audience so that they read your ad. A7: The A7 format is 74 x 105 mm and is about one eighth of an A4. This would be the smallest size we'd reccomend for printing flyers, any smaller and your target audience might miss them. A6: The A6 format (size 105x148 mm) is most comparable to the size of a postcard. Though a tad smaller than your average flyer, flyers of this format can still be designed for effective event and offer communication. A5: The A5 format of about 148 x 210 mm is the standard flyer size used for promotional campaigns and marketing strategies. Flyers of this size are a conveneint size for distribution too. A4: The A4 format is well known for its 21 x 29.7 cm dimensions because that is the size of a standard piece of paper. This size is useful for companies, business enterprises, and local administrations with a lot of information to share. It can be useful for school leaflets for example, and they can easily be folded, put in an envelope and sent by post. 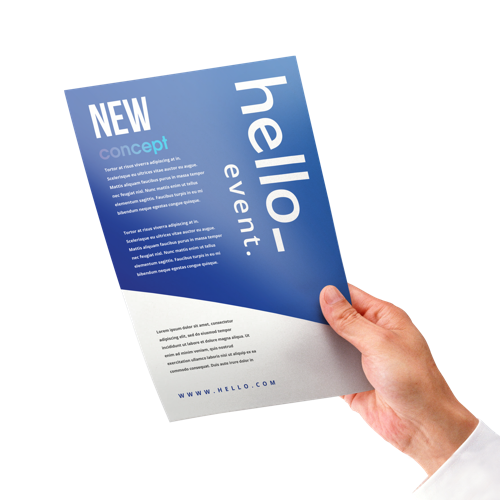 A3: An A3 format is closer to the size of a small poster and would be convenient to display offers or upcoming events on walls or in shop windows; they draw customer attention. Square Format: This style of flyers can be used for more personal communication with potential customers. This is quite a unique format to use to share information, but they are an original and elegant choice, which can easily be transformed into invitations. ALong / Xlong Format: The A-Long (74 x 210 mm) and X-Long (105 x 297 mm) format are both long and slim in appearance; they can be designed to make useful and engaging communication pieces. For example, they can be printed with illustrative details and media attractive to potential customers, who can then use them as bookmarks. DL: The DL size (99 x 210 mm) is comparable to the size of an envelope. This means they can be easily tailored for direct marketing, and are convenient for advertisements or discount codes you would like to send to customers by post. What is the fastest possible delivery for my Flyers? 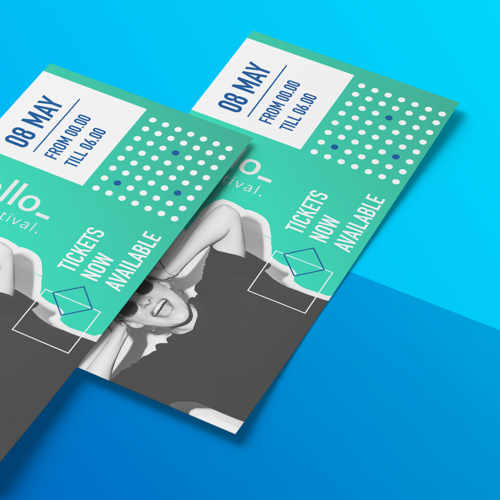 With Helloprint flyers, you will be able to choose between a 1, 3, and 5 working day turnover for the majority of bespoke orders. The expected delivery date being listed at the page bottom, but keep in mind that this delivery date is subject to change if your artwork file isn’t promptly uploaded (in PDF) to your order. To avoid this, there are upload specifications and artwork guides included next to the info tab on the product page; following the pointers will ensure your file can be quickly processed. Also where a digital proof is sent but not approved, this can also result in a small delay. This is generally one business day with each production deadline that’s missed. We suggest you keep an eye on your email to make sure you have completed the steps to allow your order to go into production. Helloprint has organised agreements with multiple couriers to be able to deliver your orders in a fast and efficient manner. The delivery will be sent to your indicated address with DHL, UPS, or DPD and you’ll be able to follow the status of your delivery through your account. You will receive an email with a tracking link when your order is in transit, and your items will be packed and delivered according to the turnover you’ve chosen (provided there were no delays). What determines the price of my printed flyers? Flyer printing gained its appeal because it is both useful for gaining new leads but doesn’t need to cost you a fortune to organise. This makes flyer printing worthwhile because they can be ordered at competitive prices. The overall price of your flyers will vary depending on the type of paper you choose, the finish of the flyer i.e. gloss, matt, or uncoated, and the quantity. At Helloprint, one thing you won’t find are delivery costs hidden in the selling price. Instead, we ask £2,95 for orders under £30. This way, we can keep our prices low. This way you don't end up paying hidden delivery costs when you order multiple small products. On our site we also indicate discounted prices or product specifications that you can combine to get the best deal out of the flyer price list. This can vary from ‘recommended,’ ‘most popular’ to ‘best price’ tags to indicate the various bargain prices. 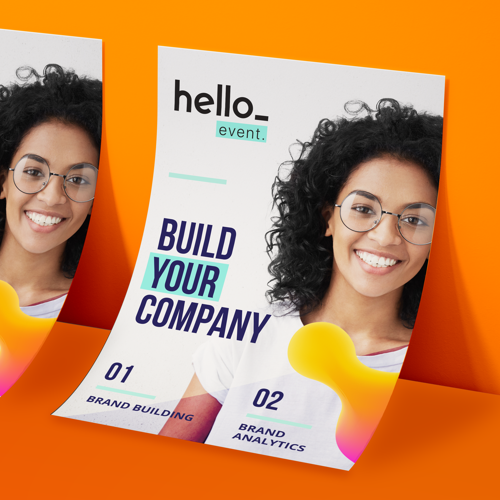 The funnel on the flyer product page is flexible and user friendly, so you’re able to personalise your specifications to fit your budget, campaign, and other needs. The possibilities we offer for business flyers are all accessible via our website, however you’re welcome to contact our customer service heroes who will be happy to see if they can help set-up your ideal order.